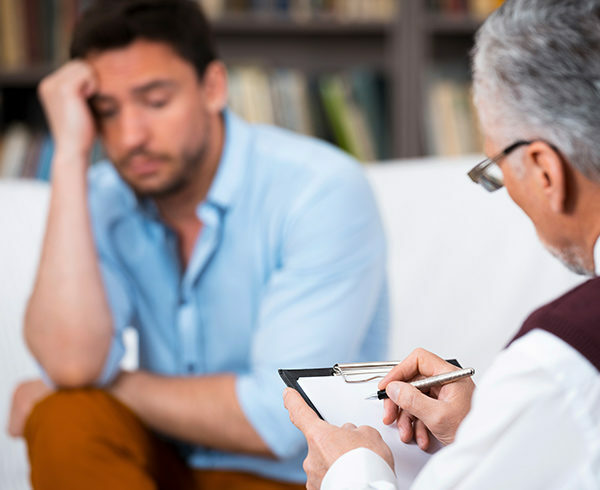 Cognitive behavioral therapy (CBT) is a form of talk therapy that treats problems by modifying the patient’s destructive thoughts and actions. Patients are encouraged to recognize and address negative or inaccurate thinking and change their patterns of behavior accordingly. The goal is to provide skills and strategies to help manage stressful situations and cope with everyday challenges. A skilled therapist can help those recovering from addiction who struggle with destructive and negative thoughts. After negative thought and belief patterns are identified, the therapist helps the patient practice different ways of thinking, ways that can alleviate upsetting emotions and harmful behavior. CBT is offered in both individual and group therapy programs. At Buena Vista Recovery, your CBT sessions will focus on changing the negative thoughts that can get in the way of you changing your life. Those suffering from substance use disorder are especially prone to “all-or-nothing” thinking, and this can cause you to feel powerless and out of control when it comes to your addiction behavior. Believing that you will never be able to stay 100 percent clean for the rest of your life can prevent you from trying and can result in a relapse. Reprogramming your thinking to accept less than perfection can go a long way toward maintaining sobriety. Other negative ways of thinking that must be modified include using “should” or “ought” statements, magnifying the negative and minimizing the positive, and overgeneralizing. During CBT sessions, your therapist urges you to talk about your feelings and identify what is troubling you. He or she helps you become aware of your thought and belief patterns, especially the negative or inaccurate thinking that may be at least partly responsible for your problems. The goal is to reshape your thinking by helping you practice better thought patterns until they eventually become a habit. While CBT doesn’t solve your problems, it does give you a method for coping with your situation. When you accomplish this, you will feel more positive about yourself and be open to a better life. Positive results take a while, but the hard work you put into cognitive behavioral therapy will be well worth it!